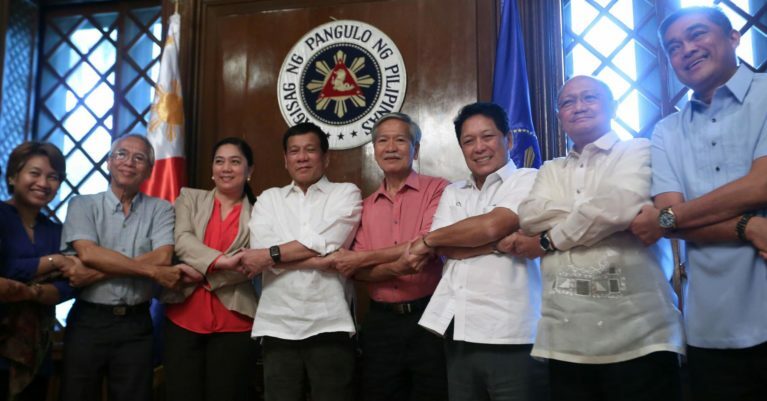 If the between the armed forces of the Government of the Philippines (GPH) and those of the National Democratic Front of the Philippines (NDFP) officially and finally ends as a result of the peace talks between these adversaries, Rodrigo Roa Duterte will secure a place in history as the most effective president the Philippines has ever had since the restoration of independence in 1946. It will mean that the most extensive reforms of Philippine society shall have been implemented, the end of the longest-running civil war in Asia being contingent on the elimination of its causes. At about the same time that the peace panels of the Philippine government (GPH) and the National Democratic Front of the Philippines (NDFP) were concluding back channel talks in Utrecht, the Netherlands, during which they agreed to return to the negotiating table, the Armed Forces of the Philippines (AFP) was bombing communities in areas whose residents, it believes, either harbor the New People’s Army (NPA) or are supportive of it in various ways. The unfortunately named Magdalo group — the Magdalo was the Katipunan faction that murdered Andres Bonifacio and Antonio Luna — identified with Senator Antonio Trillanes IV has a point. It doesn’t do anyone any good for the Philippine government (GPH), particularly the Armed Forces of the Philippines (AFP) and President Rodrigo Duterte on the one hand, and the National Democratic Front of the Philippines (NDFP) on the other, to be throwing accusations at each other at this time when the peace talks between them have been suspended and are in grave danger of once again being abandoned, as they were during the Corazon Aquino, Gloria Macapagal Arroyo and Benigno Aquino III administrations. As peace negotiations are resumed between the Philippine government and the armed social movements that for decades have been fighting for autonomy or social change, accurate and reliable information on these conflicts has become an even more critical factor in citizen capacity to contribute to the resolution of, among others, the “Bangsamoro problem” and the 47-year guerrilla war being waged by the New People’s Army (NPA) under the joint leadership of the Communist Party of the Philippines (CPP) and the National Democratic Front of the Philippines (NDFP).